The Joint Learning Initiative on Faith & Local Communities (JLI) and International Dialogue Center (KAICIID) are partnering in a joint webinar series. This webinar will focus on refugees and forced migration with a case study from the Balkans. The JLI Refugee Hub will present on the role of local faith actors and children on the move focusing on key themes in spiritual support, continuum of child protection and building peaceful societies and combating xenophobia. 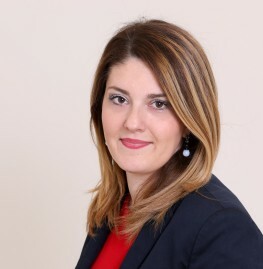 Amanda Rives Argeñal, World Vision International will introduce the recent Faith Action for Children on the Move Conference in Rome proceedings and action plan. This will also be an online launch of the children on the move briefs from the recent Faith Action for Children on the Move Conference in Rome presented by Dr Olivia Wilkinson. The webinar will also feature a KAICIID Fellow as a guest speaker, Dr. Aleksandra Djurić Milovanović at the Institute for Balkan Studies of the Serbian Academy of Sciences and Arts. She has many years’ experience of working in in multiethnic, multiconfessional, and multilingual Christian communities in the Balkans. She will present her work and current research focusing on religion, contemporary migration crises and refugees, especially in Serbia. She is a research fellow at the Institute for Balkan Studies of the Serbian Academy of Sciences and Arts (Belgrade, Serbia). She studied philology at the University of Belgrade and received her Master’s Degree in political sciences (2008). Aleksandra earned her PhD in ethnology and anthropology (2012) from the University of Belgrade, Faculty of Philosophy. Her academic research has been primarily focused on the anthropology of religion, Church history, religion and migration, and contemporary evangelical movements in Serbia and Romania. Since 2007, she has conducted extensive ethnographic and archival research in Serbia, Romania, and in the United States. She has published academic papers in various languages, edited volumes, and participated in numerous programs, workshops, and international conferences worldwide. In 2017, she was awarded the position of Visiting Fellow at the University College Cork – Study of Religions (Ireland). Her book Double Minorities in Serbia: Distinctive Aspects of the Religion and Ethnicity of the Romanians in Vojvodina was published in 2015 by the Institute for Balkan Studies SASA (Belgrade, Serbia). Aleksandra has several years' experience working and researching in multiethnic, multiconfessional, and multilingual Christian communities in the Balkans. Recently, she co-edited the volume Orthodox Christian Renewal Movements in Eastern and Southeastern Europe (Palgrave Macmillan, 2017). Aleksandra is particularly interested in the promotion of tolerance, interreligious dialogue, minority rights and student education. 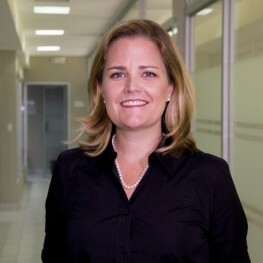 Amanda Rives is the Senior Advisor on Child Protection and Participation Global Sector for World Vision International specializing in child protection and participation and based in Amman. She represents World Vision globally in selected networks, associations, and boards; ensuring the organization effectively collaborates with partners, influences decision-makers, and mobilizes resources to contribute to Agenda 2030. In recent years, Amanda also served as Regional Advocacy and Mobilization Director for Latin America and the Caribbean. Her responsibilities have included the development and implementation of the regional advocacy agenda, including campaigns and public engagement, as well as child protection, child and youth participation, and volunteer programs. Originally from the US, Amanda began her career as a Peace Corps Volunteer in Honduras and has spent most of her life working on social justice issues and Latin America, seeking to mobilize civil society, children and youth, governments and policy makers, as well as the media and private sector. 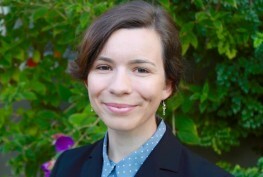 Olivia has been an academic member of the JLI Resilience, Mobilization of Local Faith Communities, and Refugees and Forced Migration Hubs for a number of years. She has contributed as research consultant to Learning Hub projects, including the 5 evidence briefs brought to the World Humanitarian Summit, and is lead author of the recent JLI Refugee Hub Scoping Study. She was the coordinating editor on the recent summary of Proceedings of Forum on Localizing Humanitarian Response: the Role of Religious and FBOs and previously published in a number of academic journals. Her PhD research focused on secular and religious responses to disaster following Typhoon Haiyan in the Philippines. The Joint Learning Initiative on Faith & Local Communities (JLI) is an international collaboration of academics, practitioners, and policy makers on evidence around faith groups’ activities in humanitarian action and development.